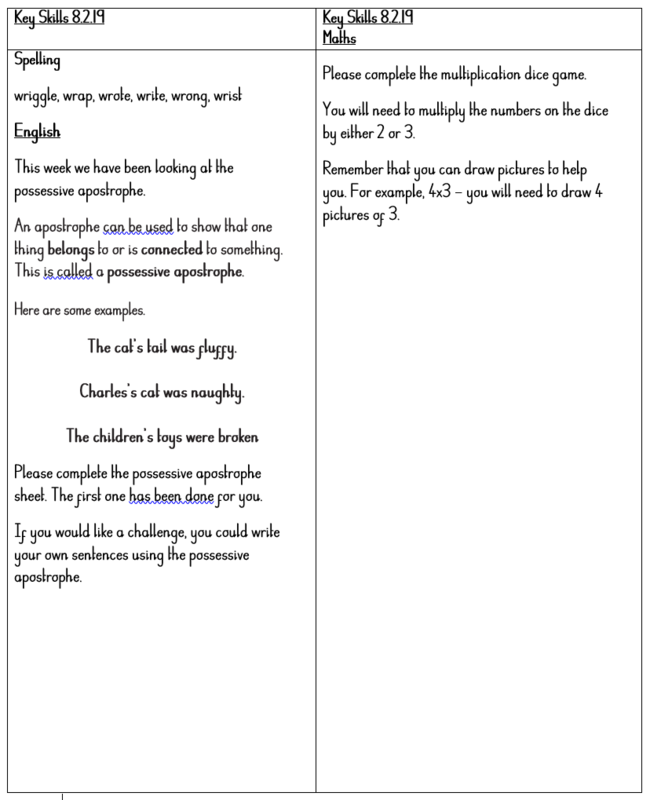 There is an error on the Spelling section of Year 2’s Key Skills this week. The spelling rule we are learning next week is the ‘wr’ sound, so the word written weap should read wrap. Please see below an updated version of this weeks Key Skills with the correct spelling.